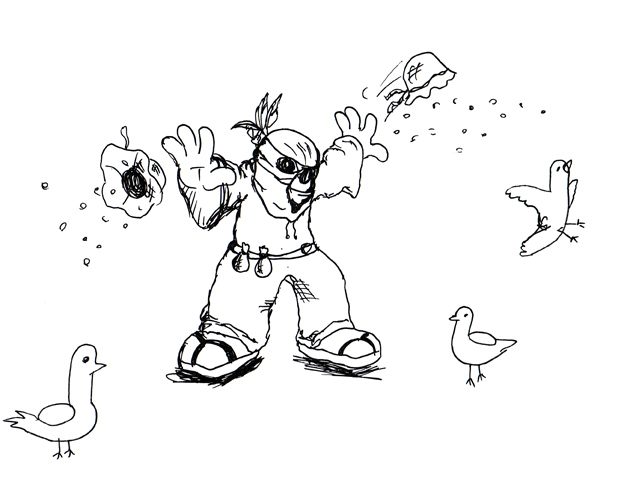 Pilot Project Possibilities: The Pigeon King. For my pilot project, I’ve been considering the idea of creating one character, from start to finish, fleshing out his backstory, making sure everything about him works the way I intend etc. I’m thinking this way, because if my whole MA year is going to revolve around creating characters and concepts, then I need to be confident that It’s something I can do correctly. More importantly perhaps, this will be an early oppertunity to learn from mistakes and generate a decent methodology for character creation. So then, who or what is “The Pigeon King” ?. Bare with me here. On a year 2 trip to Barcelona during my BA hons, I encountered a square filled with a vertible plethora of pigeons. Nothing out of the ordinary really, until I noticed the amount of control you can gain over them with the use of seed, which someone was selling in the square. This got me day dreaming about commanding armies of pigeons, casting hands of seed towards his enemies, swarming them in a crowd of hungry sky rats. This has gestated for 2 years since then, and whilst I’m aware of the palpable stupidity of such a character, I also deeply enjoy the irony of a “hero” or “villian” who’s sole power is dominance over Pigeons. 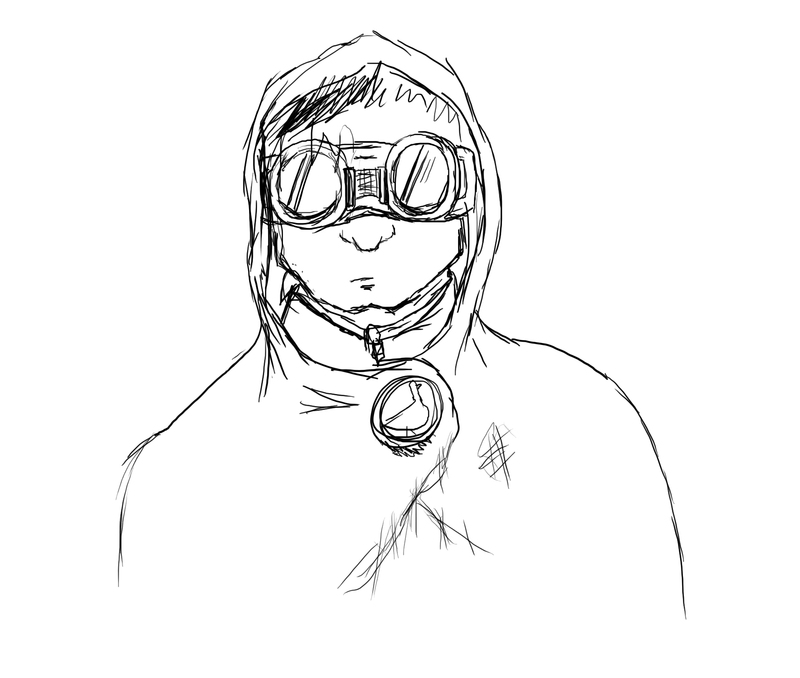 The idea of finally developing the character out of my mind and onto paper really excites me. And due to the odd subject matter of him/her it could prove a decent and challenging pilot project. I’ll discuss this in the Group tutorial on monday – see what people think.